The constant climate from the end of April to October. Typical structures ready to welcome you. Formentera Ibiza as wedding destination is gaining popularity. Even though it is a small island, the array of options are plenty. As we have already mentioned in another article, the ideal place for many couples is a seaside restaurant with spectacular sunset scenario. Being able to spend a little more money you can ‘opt for a villa overlooking the sea on the west side, where one can celebrate the ceremony you can also hire a level catering for the banquet. 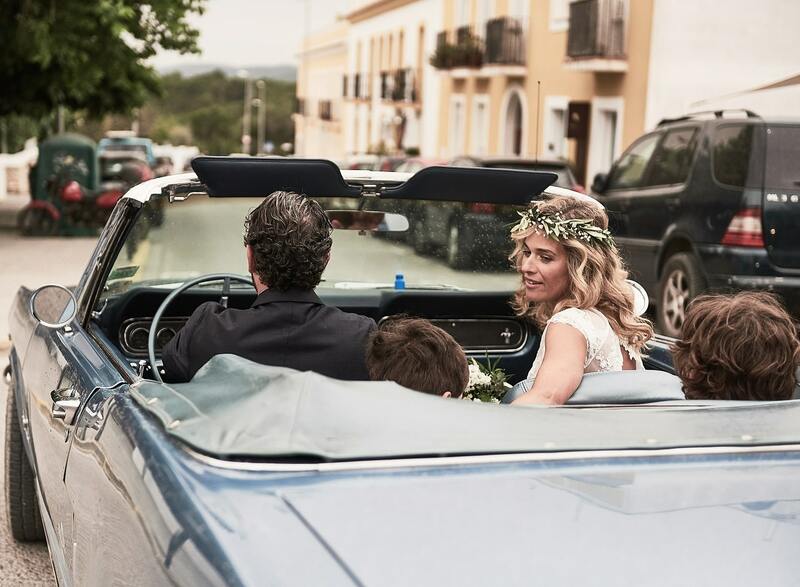 Another highly appreciated option is to celebrate the ceremony by the sea and then move in a Finca ibizenca (typical rustic dwelling) or in a rural restaurant, both with beautiful Mediterranean gardens. Let’s say that these are the options that go for the most. Even some hotels and farmhouses offer the possibility of organizing a wedding in their interior. We do not recommend this option during high tide season. Wedding abroad in Ibiza is considered by many nowadays. Earlier, it was considered as the island of nightclubs and only nightlife. Many people who know these islands can deny this fact and when asked “what you are fascinated by Ibiza and Formentera”, they answer: the internationality of the place, the beautiful sea, the scent of the Mediterranean, good food, the colors of nature, the sun up late, the sunsets, the idea of spending a day on the boat with a wonderful sea or staying in a typical villa. These are the main features that make these islands the ideal setting for your wedding.